I see a lot of shoes, day in and day out. 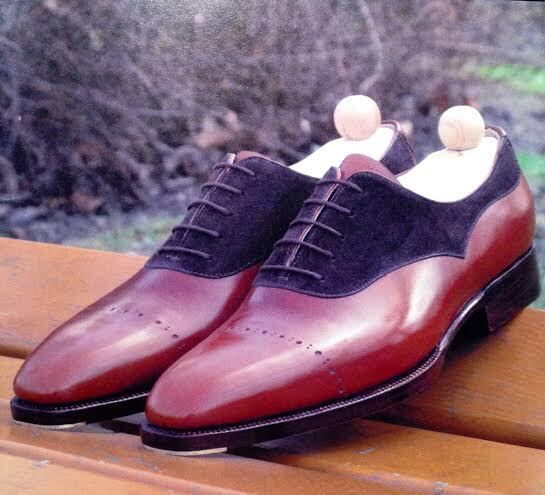 I have almost become impervious to the appreciation of classically fine footwear as I now see it so often that the novelty of it has lost its effect. But every now and then, I see stunner’s like these bespoke Maftei two-tones, and I nearly lose sense. This is easily one of the most handsome shoes that I have seen in a long time. Not necessarily the fanciest, or the coolest in color, but there is just something about it that screams out amazing! I tried to pinpoint that certain detail and I think that what really does it is the fact that instead of the top piece being traditionally sewed under the bottom piece, it is in fact sewed on top of it. That little detail which many might not have recognized, makes a big difference in the aesthetic of the shoe. And to be honest it is not always something that looks good but for some reason the way in which they made the pattern and did it like this, stands out so much for me, obviously in a positive way!